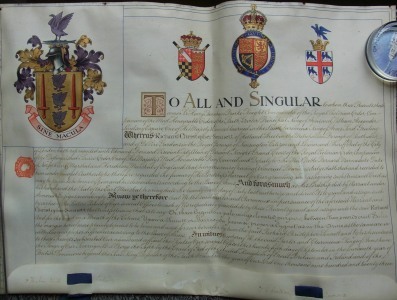 The sale on eBay of the 1923 Grant of Arms to Richard Christopher Sennett of DeVere Gardens (Vendor: ephemeralmayfly) completed on 11th March for £102. The Arms were previously included in Barnes Auctions March 2015 auction catalogue. 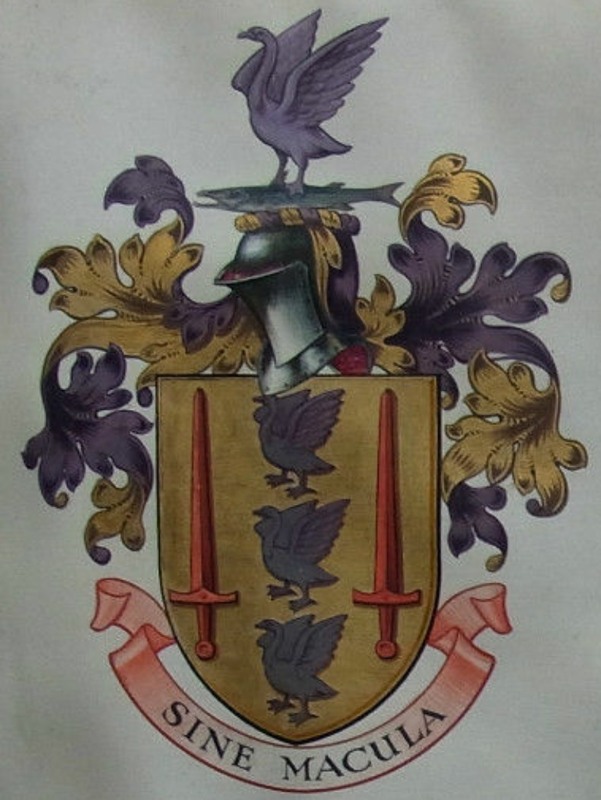 Arms: Or three cygnets in pale wings elevated purpure between two swords erect Gules. Crest: Upon a sennett Or barracuda fessways proper a cygnet wings elevated purpure. Alan Macdonald Sennett b.1921 Killed in Action 1944 aged 23.